"Our commitment to you is personal and does not cease once the funeral has taken place." "We believe that we are in a position to successfully advise, guide and assist you, helping you shape the celebration of life that befits that character and wisdom of the person that has died." 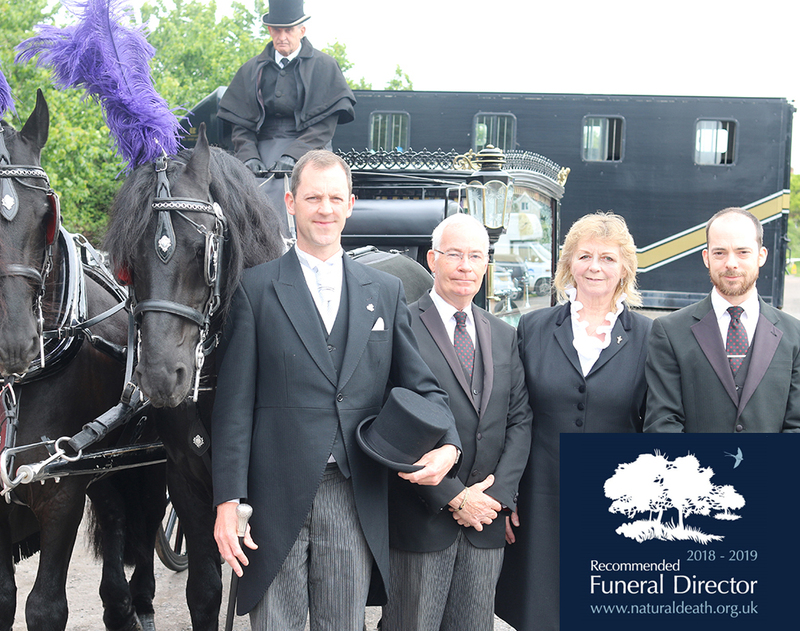 An honest, knowledgeable and friendly team of funeral directors. We are a small, independent, local family business that has in excess of 25 years experience in delivering and meeting our client’s funerary needs. Our aim is to give you the highest standards of service and care whilst attending to every detail, whether you are arranging a funeral now or planning for the future; we understand and recognise the importance of looking after your loved one, and you. Most of all, we will always conduct every aspect of our service in a respectful, dignified, integral, courteous and professional manner. Whether you are at our office or in your own home, we will explain and take you through the options available. We will discuss your individual choices in as much detail as you wish, whilst suggesting ways to make the funeral personal, understanding and helping you every step of the way. We will ensure that all of your funeral services are in line with your specific requirements and on your behalf, organise and co-ordinate all the necessary arrangements, keeping you fully informed and updated so that you'll always know what’s happening. We will ensure that you have all the information required enabling you to make informed decisions, including that of our services and the relevant charges. It will be honest, clear and easy to follow and there will be no hidden charges or added fees. Our offices incorporate the latest range of funeral facilities including a modern, open reception area, private arranging room, two Chapels/Places of Rest and a further family room. The premises is appointed to a very high specification and the décor ensures a warm, homely and comfortable feeling in a purposeful attempt to put the family at ease whilst meeting, if not exceeding, the latest Health & Safety requirements and legislation.